Riding and racing the length of the Great Divide is incredibly tough. If there’s one thing I’ve learned watching both the GDR and TDR from afar over the years it’s that there are no sure things. 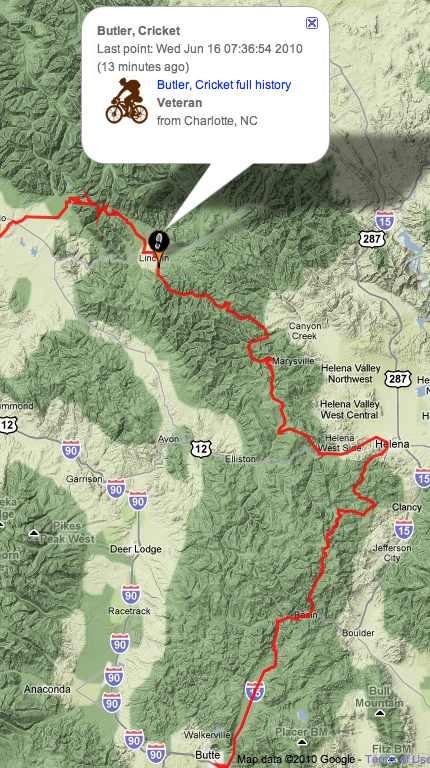 A good percentage of the people that start the ride are going to have to drop out before they get to Antelope Wells. Whether it’s their body, their bike, or both the race extracts a heavy toll on participants. Breakdowns are inevitable. Last year Jill Homer set the women’s record for the TDR at 24 days 7 hours and 24 minutes. If you follow her blog at all you know she’s pretty humble. In fact her expectation going into TDR 2010 was that her record would fall after just one year. Not so fast Jill- as of this morning Cricket Butler appears to be the only female racer remaining, and her pace to date pretty closely matches your own from last year. I’m very interested to see if Cricket will be able to gain some ground on Jill’s record between Lincoln and Butte today.